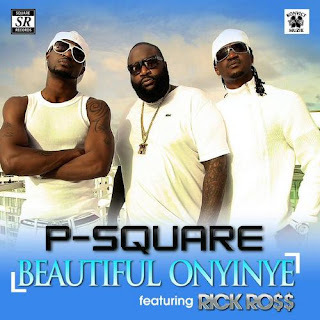 A few months ago, I blogged about P Square, May D and Akon on a track together and now P Square and Rick Ross? Damn... Afrobeats is moving UP!!! Konvict music artists P Square teamed up with MMG artist Rick Ross for their new banger 'Beautiful Onyinye'. Check out the all white love song video below and Rick Ross' verse is everything and then some. His versatility is amazing. Audio is also available for download below.